Dream Big. Embrace Your Feelings. Create the Life You Want. Excuse Me, Your Life Is Waiting asks you to stop second guessing yourself and start believing in what you can achieve through the power of positive feelings. Have you ever been so wrapped up in day-to-day life that you stop paying attention to how you�re feeling? Something goes wrong and you blame other people. The key to getting back on the right track is simple: focus inward, on what it would feel like to have it all go right. And it will. 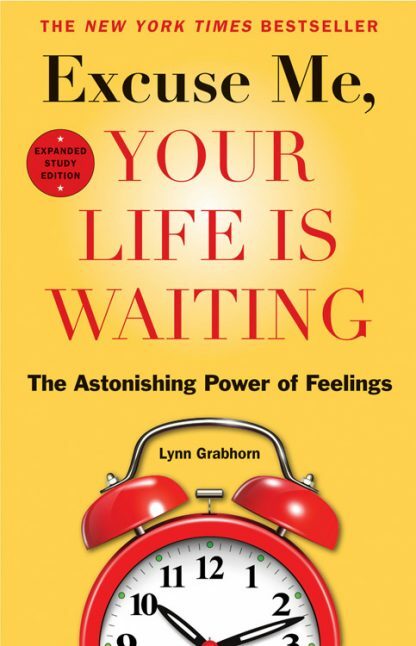 Lynn Grabhorn reveals how to invite the positive to you by focusing on what you want. She shows that all it takes is a few bursts of pure, intense concentration. Allow yourself to start believing in what you can accomplish instead of what you can�t and cut down on those negative feelings. Follow Grabhorn�s simple steps and soon you�ll be attracting the things you really want. Includes a 16-page study guide�for individual and group use.